Avishai Cohen in concert. 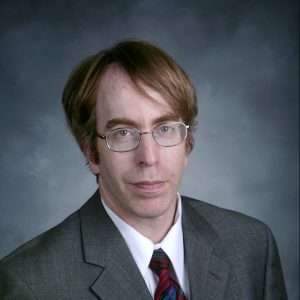 Photo by Brian Bix. 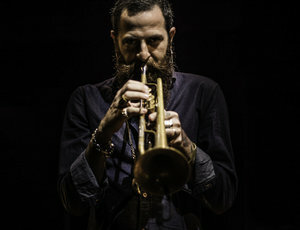 The Chicago Reader describes Avishai Cohen as “arguably the most exciting Israeli jazz musician in the world.” This might initially sound like praise so faint that it risks turning into criticism – like a building being described as “the tallest one in Cokato, Minnesota.” However, this would sell short how rich the jazz scene has become in Israel. Avishai Cohen is not even the only great jazz musician in his own family. He sometimes tours and records as The 3 Cohens with his sister, clarinetist-saxophonist Anat, and his brother, saxophonist Yuval. If we’re ranking the jazz scene in Israel, the trumpeter Avishai Cohen is not even the only well-regarded Israeli jazz musician with that name; there’s another with that name who plays the bass. 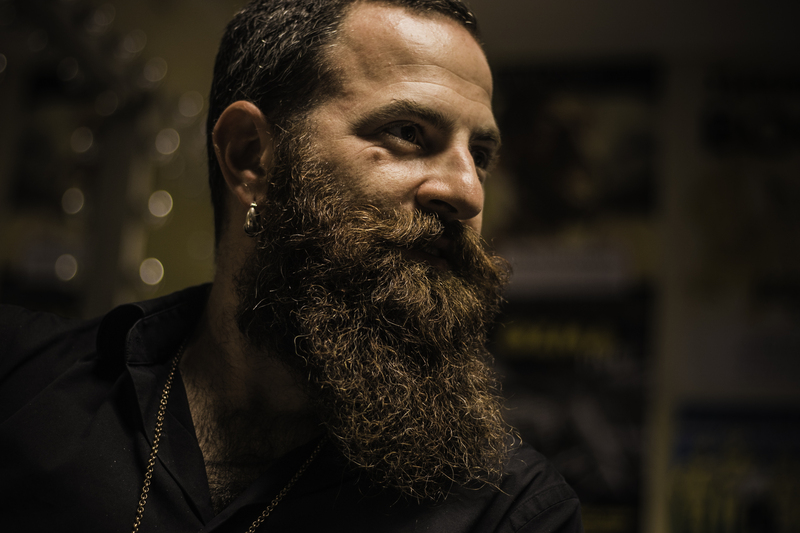 A promotional photo of Avishai Cohen. Photo by Ziv Ravitz. The Avishai Cohen from last night’s sold-out show at View Carré is only his early 40s. He studied at the Berklee College of Music in Boston, and in 1997, he placed third in the Thelonious Monk Jazz Trumpet Competition. He also played frequently with the Mingus Big Band and Mingus Dynasty ensemble. One can get a sense of the artist from interviews in 2011 and 2014. At the sold-out show at View Carré, Cohen was supported by Barak Mori on bass (who also played on Cohen’s most recent album), Fabian Almazan on piano, and Marcus Gilmore on drums. They played songs from Cohen’s last two albums of original songs for ECM: Into the Silence (2016) and Cross My Palm with Silver (2017). Avishai Cohen wielding some brass. Photo by Ziv Ravitz. Cohen has noted the influence of Miles Davis on his music. It is easy to hear echoes of the pure notes of early Miles – from the period of Kind of Blue and Sketches of Spain. There is also, though, more than a little of the discord and hint of chaos of Miles’ later works in Cohen’s playing. In general, the performance at Vieux Carré had an old-school feel to it. With Almazan on piano and Mori on bass, both hunched over their instruments, concentrating on hitting just the right “wrong” note to support or contrast with Cohen’s trumpet, while Gilmore masterfully kept the tempo and background volume on drums. Cohen and Almazan were masterful at evoking and changing the mood, pushing it from melancholy to mournful to confident, and – for just a moment or two, especially in “Life and Death”, love. For his penultimate piece of the evening, Cohen read a poem from the Israeli poet Zelda Schneurson Mishkovsky (1914-1984), which he had helped translate into English, as the three musicians played softly in the background. I am not sure that I have ever seen that before at the jazz concert.